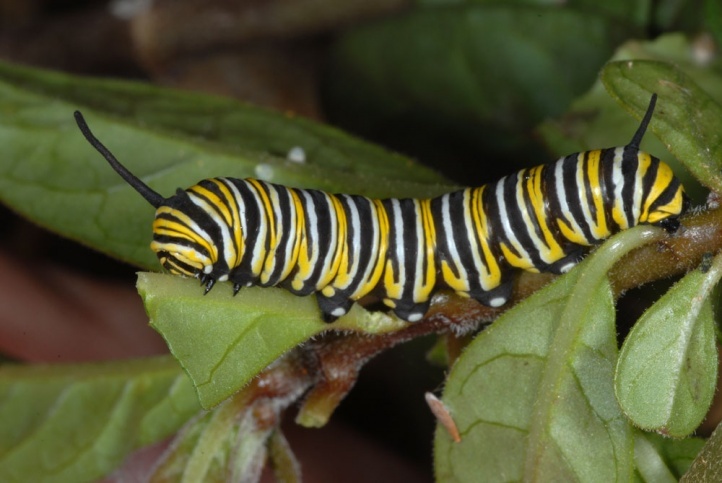 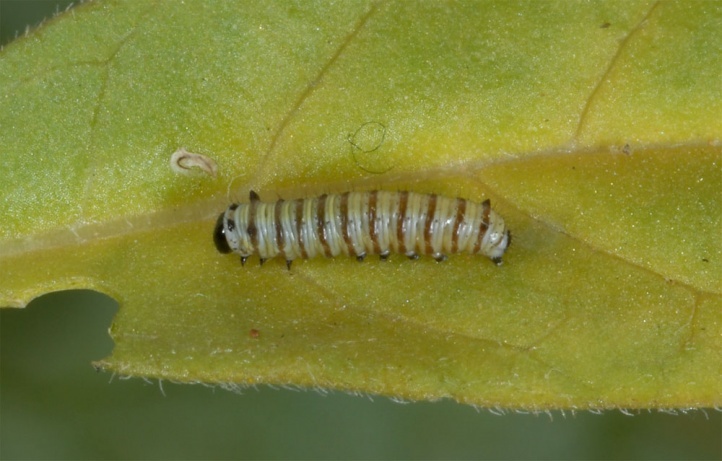 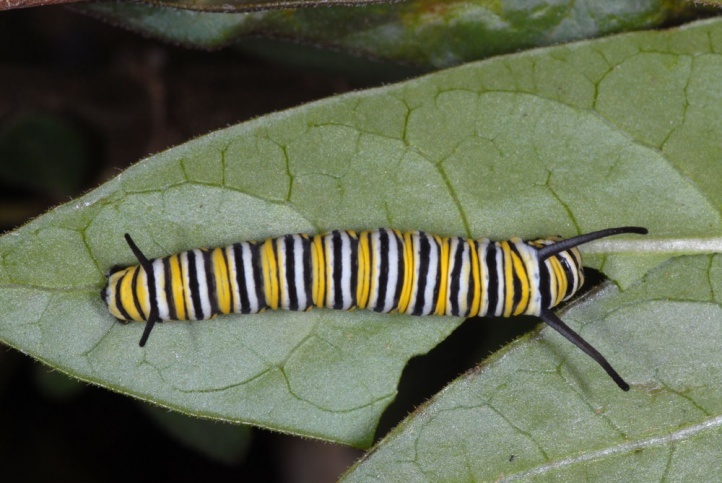 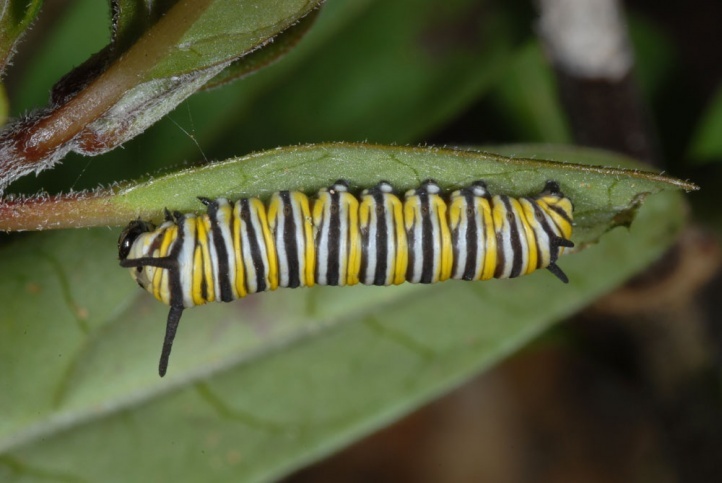 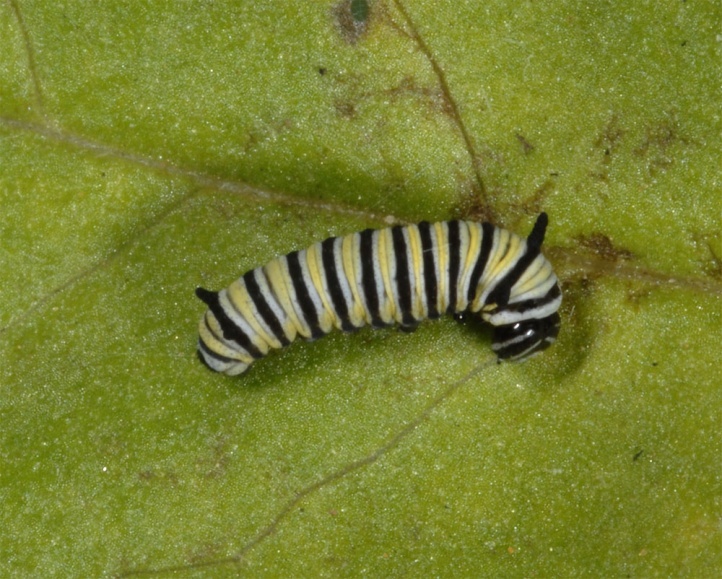 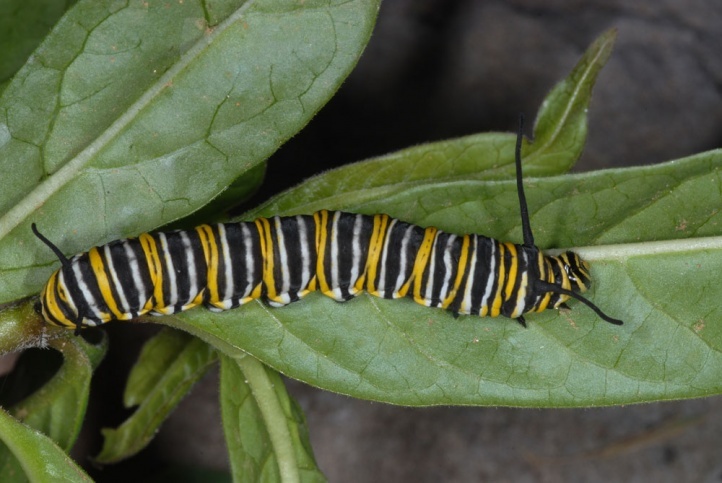 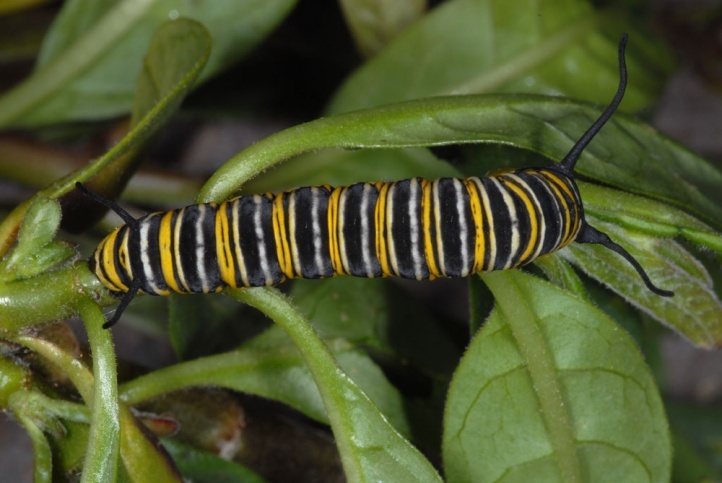 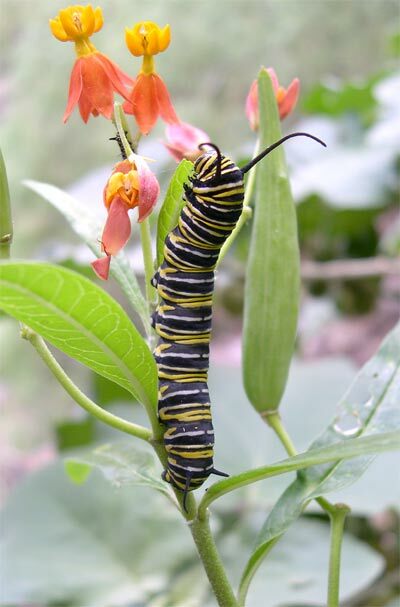 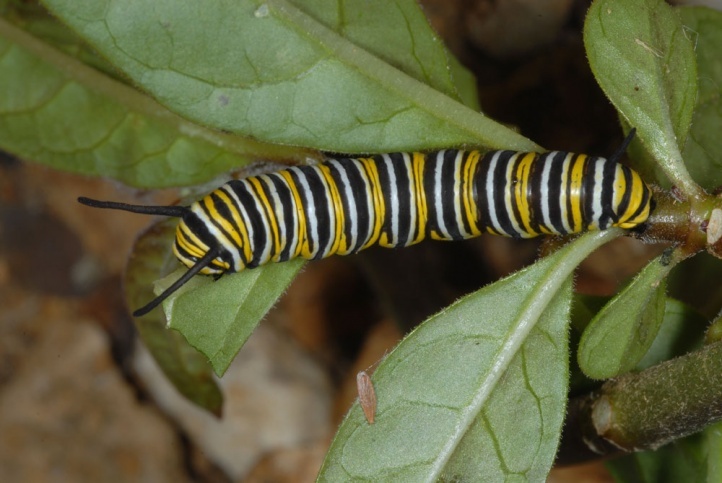 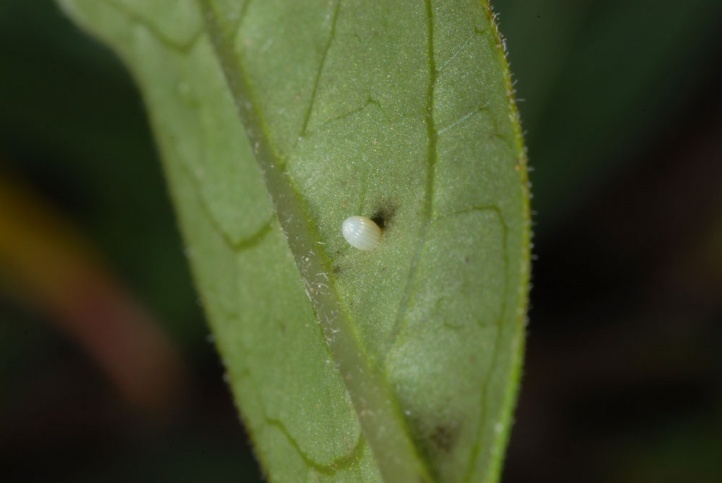 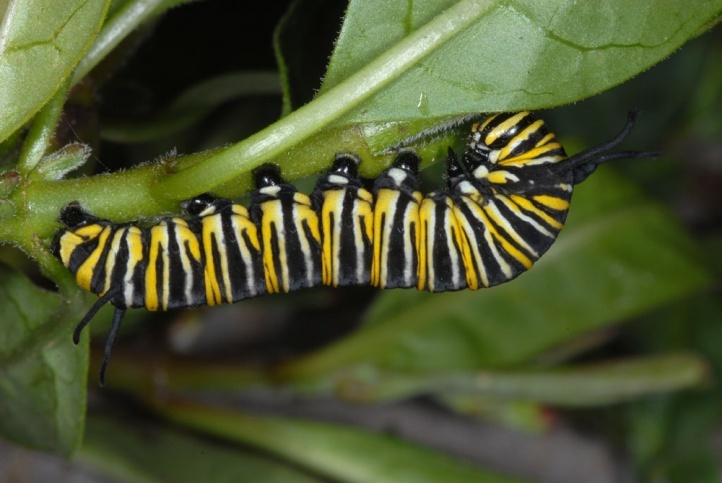 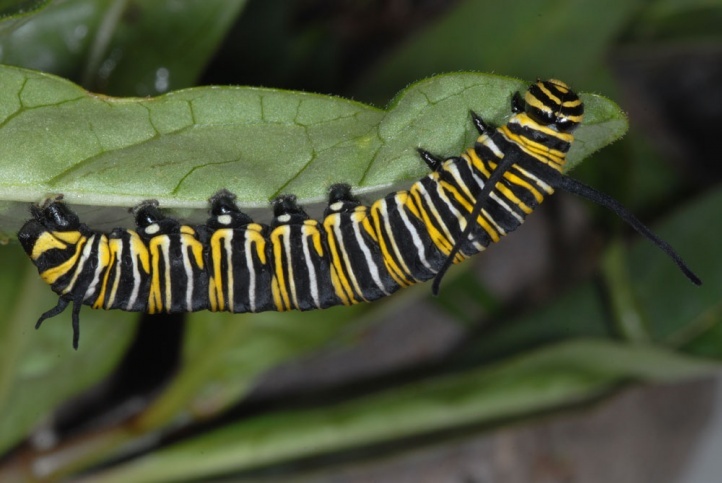 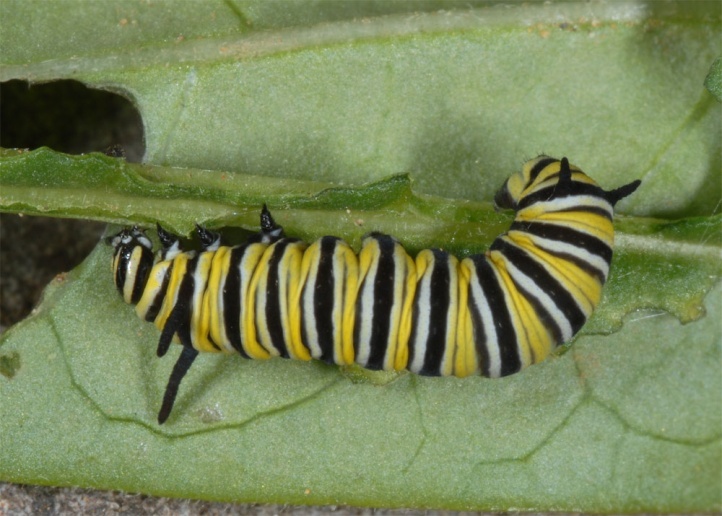 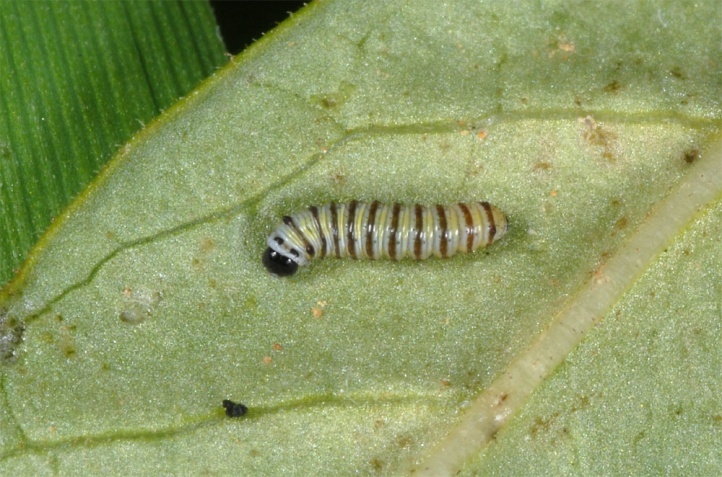 The larvae feed on Asclepias species, particularly Asclepias curassavica. 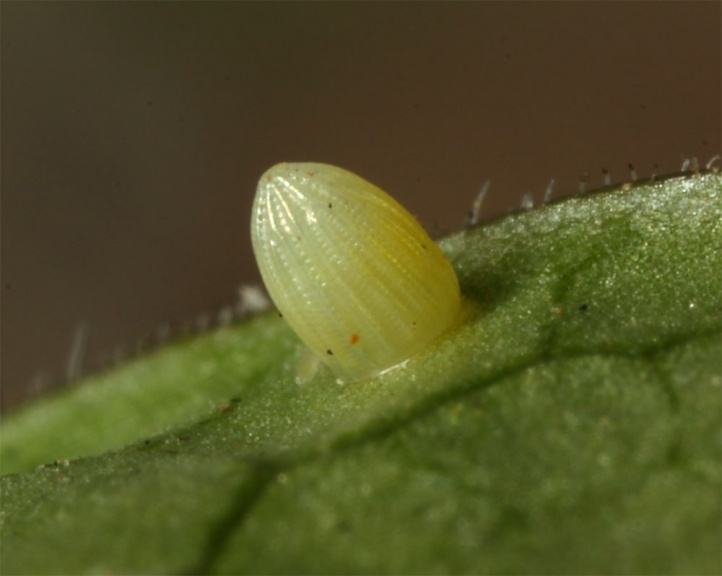 Occasionally they are also observed on other species of the family Asclepiadaceae (e.g. 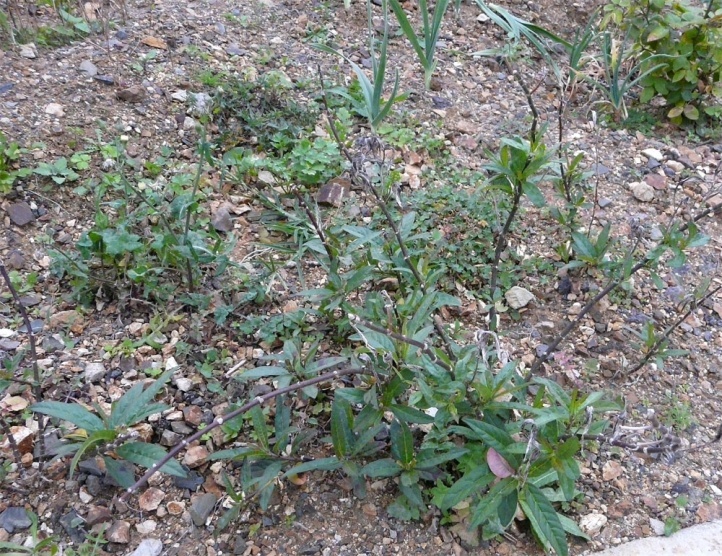 Gomphocarpus). 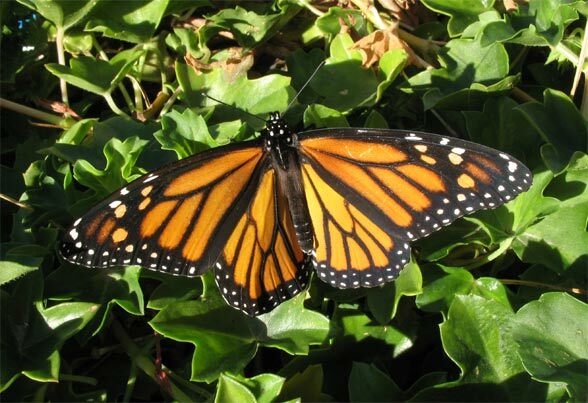 In Southwestern Europe the butterflies occurs very local in gardens, parks and agricultural land in warm lowlands. 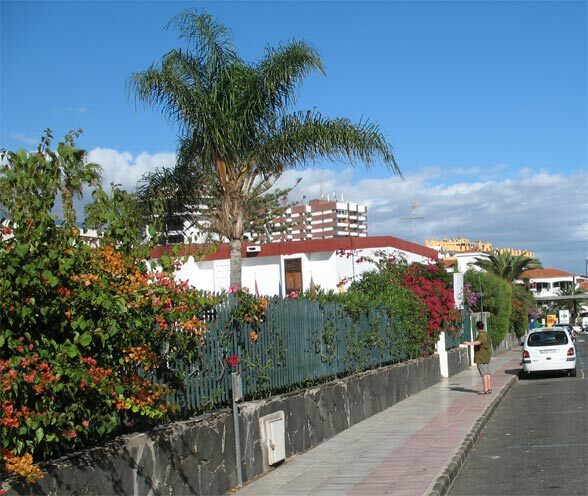 In the Canaries, it usually occurs near the coast. 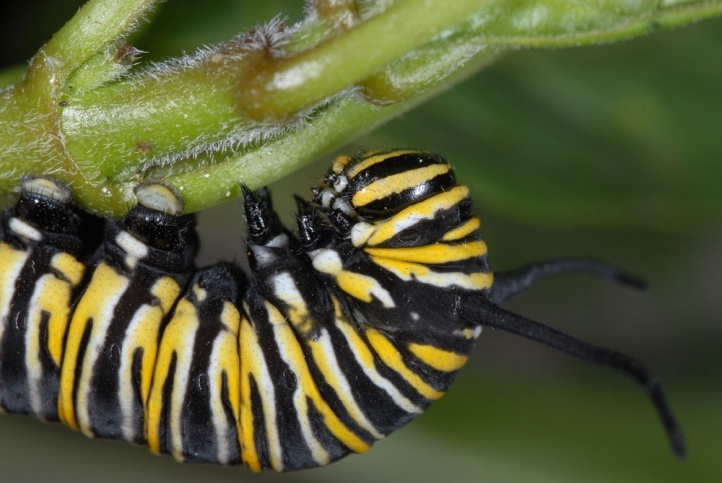 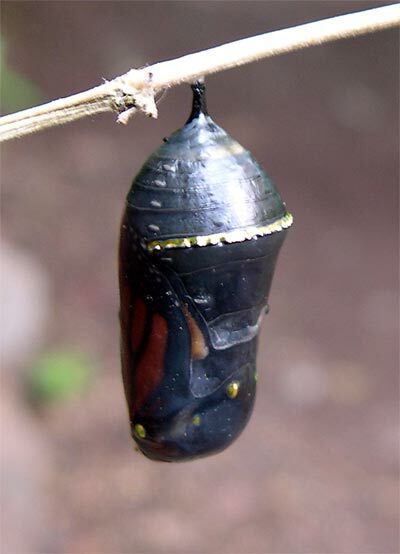 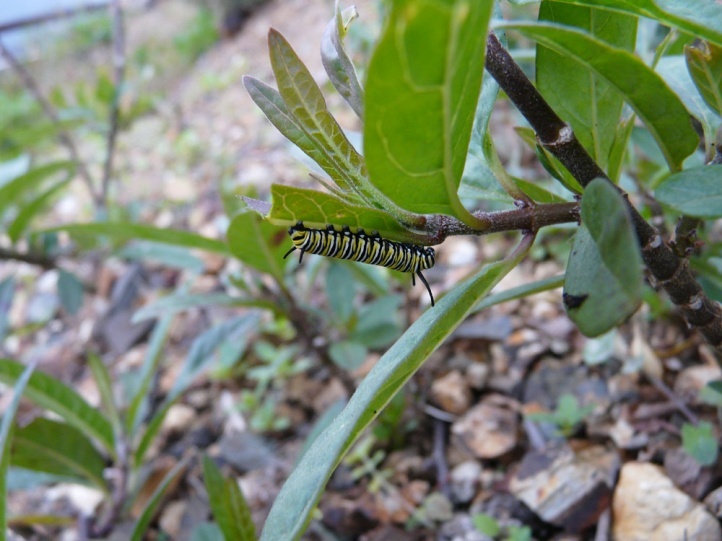 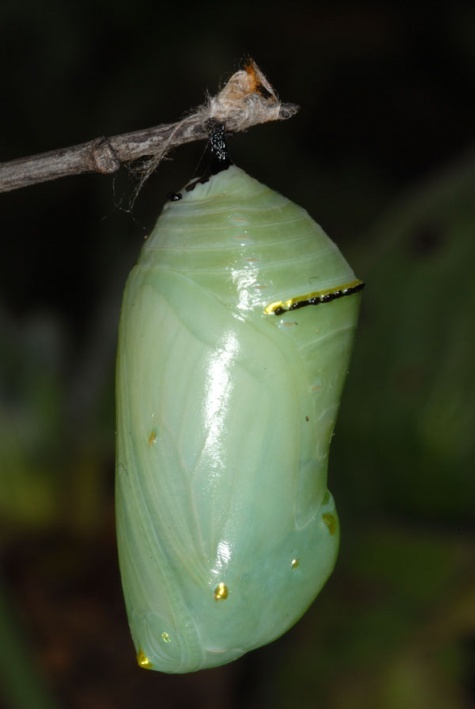 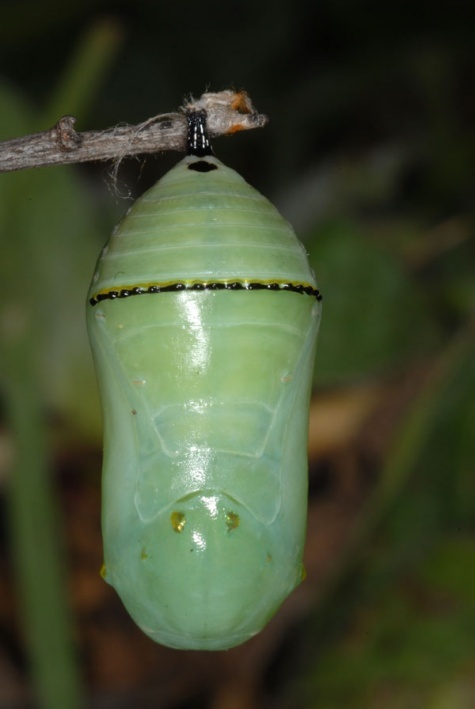 The butterflies and larvae can be found almost all year round. 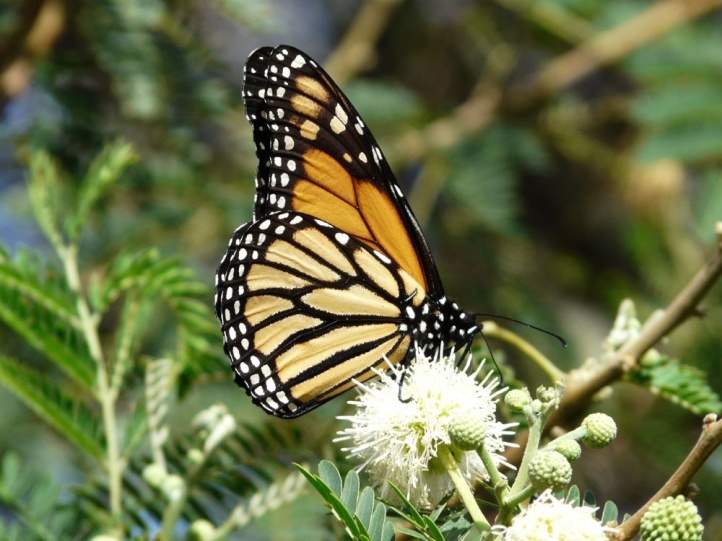 The adults feed nectar in the parks on almost all available flowering plants. 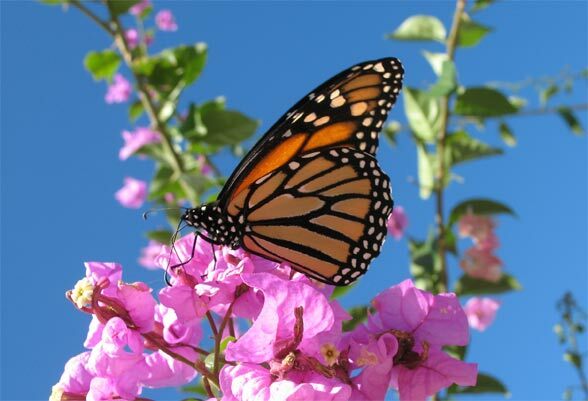 The adults are most frequently observed at Bougainvillea. 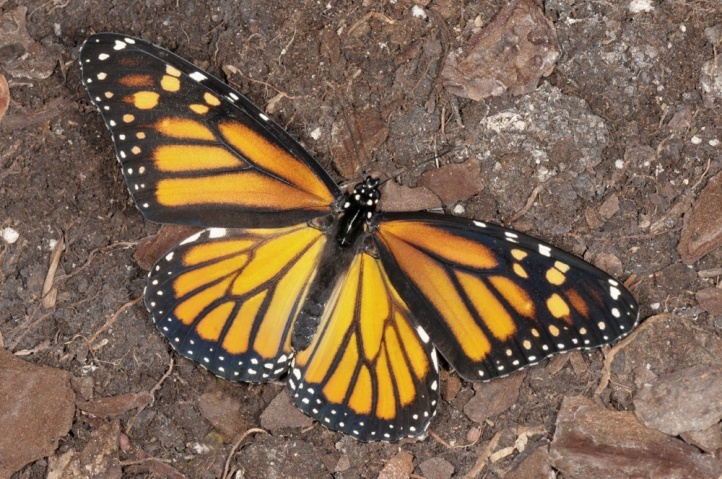 Especially in America marked migrations are known, in autumn southwards (southern USA, Mexico) and back in the spring (next generation, to Canada). 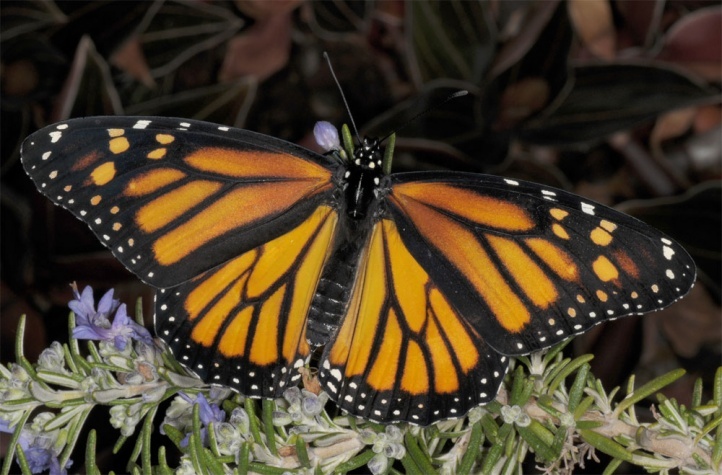 Danaus plexippus inhabits in Europe only locally very small areas. 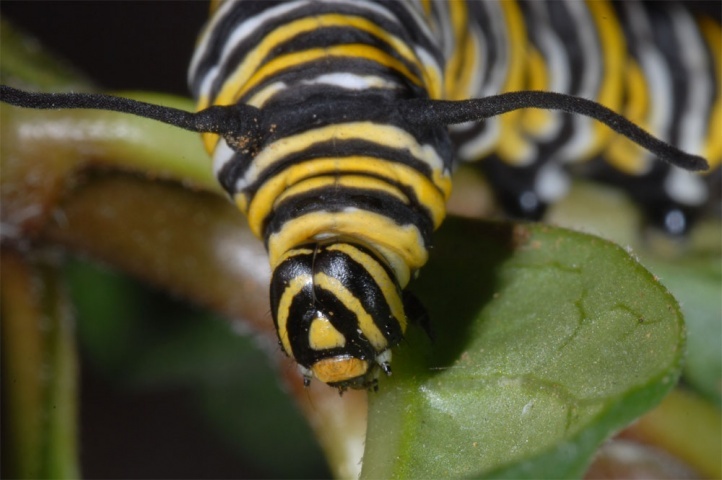 It is threatened partly by dense overbuilding, usage of insecticids and redevelopment of the few, mostly anthropogenic habitats. 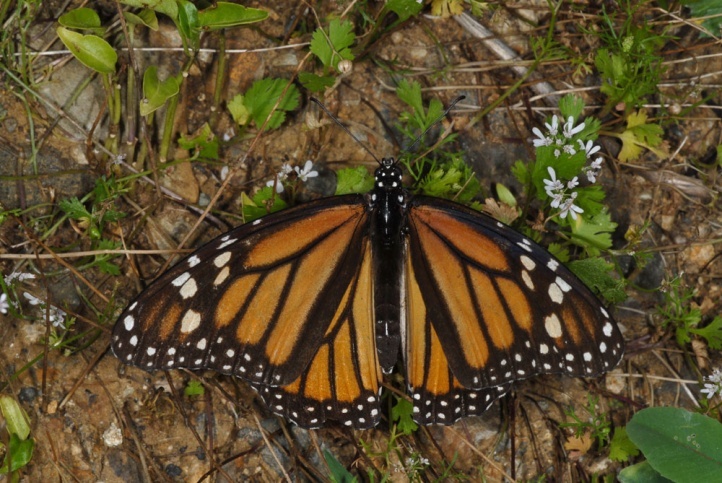 Danaus plexippus is also dependent on introduced host plants. 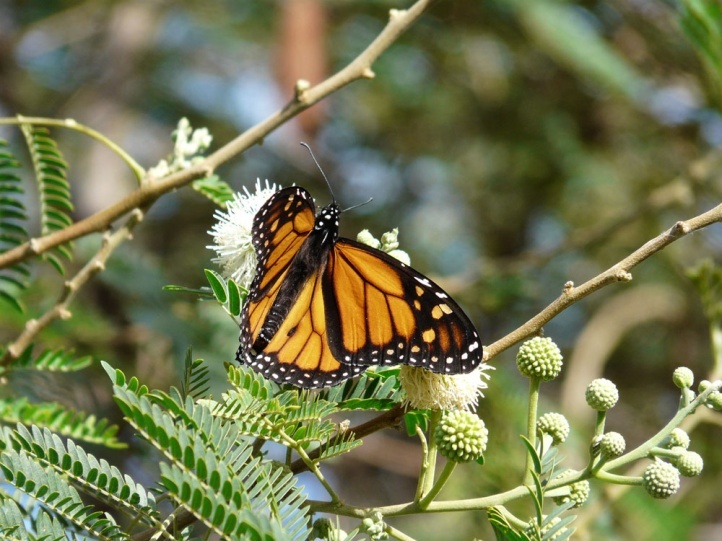 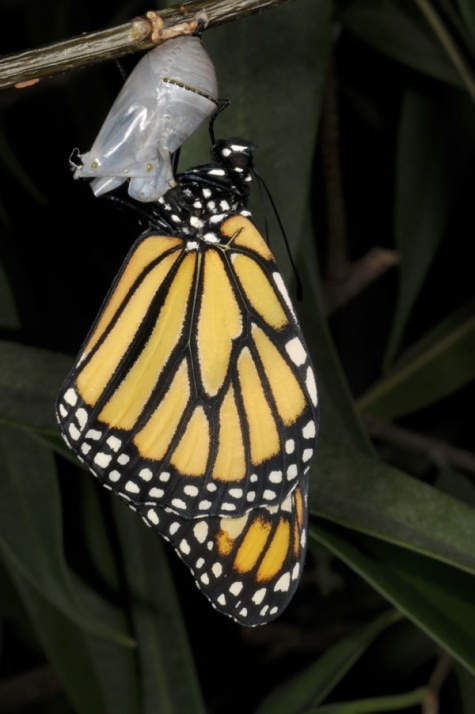 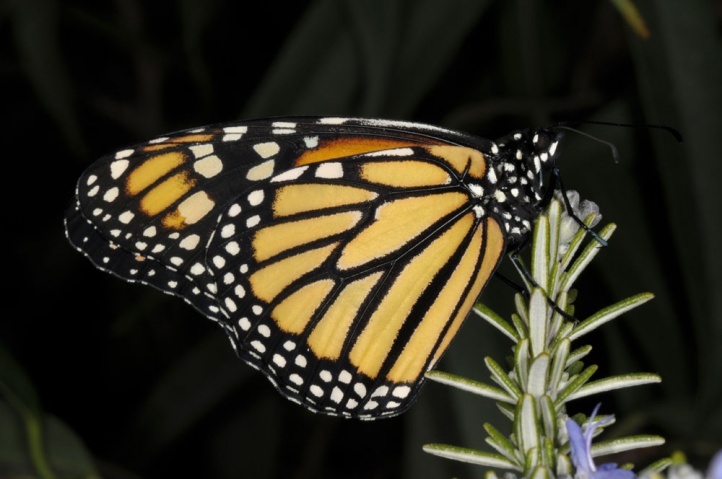 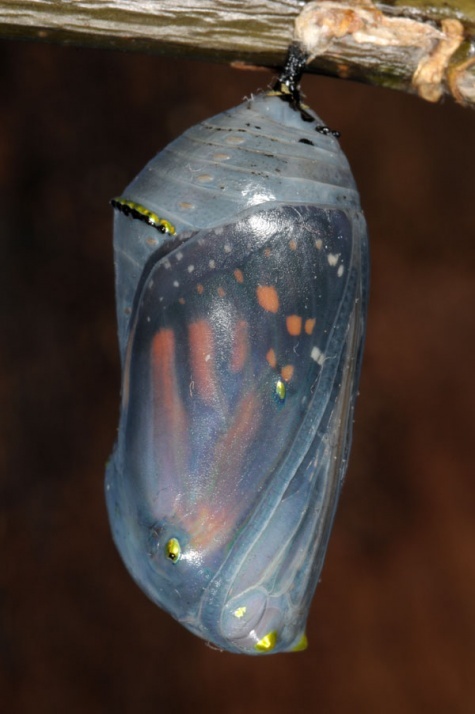 Danaus plexippus is distributed in almost all of America and nowadays also in India, Australia, New Zealand, Mauritius and Hawaii. 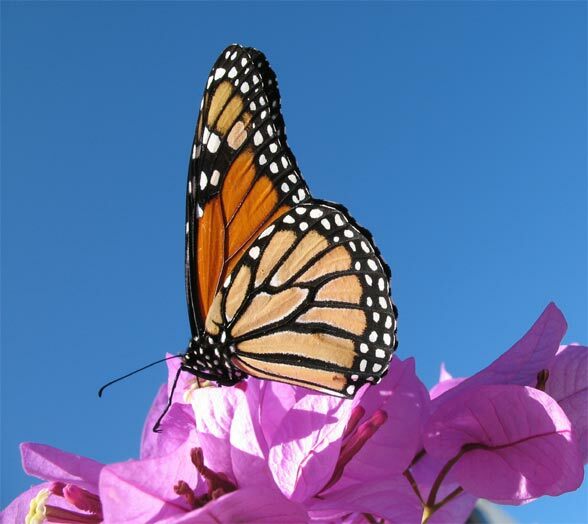 In Europe it is only found in the south of the Iberian Peninsula and the Azores. 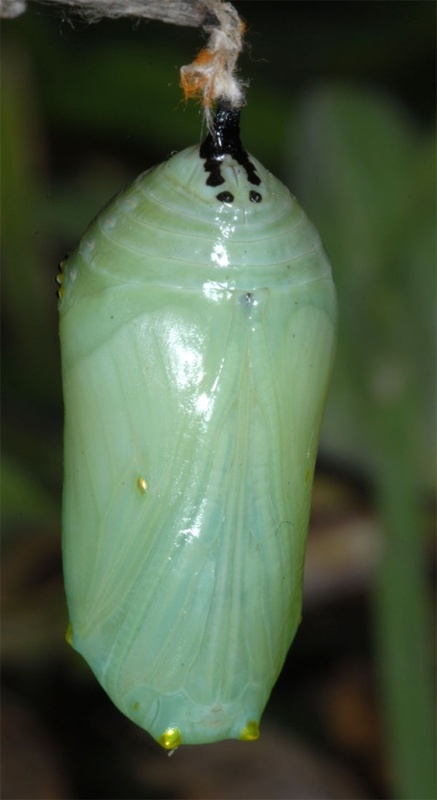 In addition, it is observed in the Canaries and Madeira. 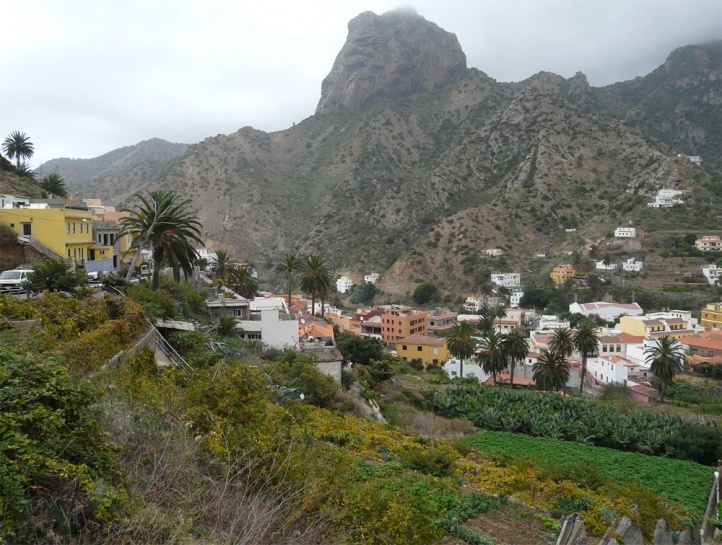 I found it, for example, in La Gomera (Valle Gran Rey, Valle Hermoso, Hermigua, San Sebastian) and Gran Canaria (common near Maspalomas).